Cranberries are, for me, one of the best things about late fall and they show up right in time, just as all of the other colors disappear. The ginkgo trees, always one of the last November holdouts, simultaneously ejected their green/yellow leaves last week and ever since, pretty much everything outside is looking rather… greige, but not like the charming shade of the boots I want. And then, out of nowhere, perfect red berries appear and things look up. 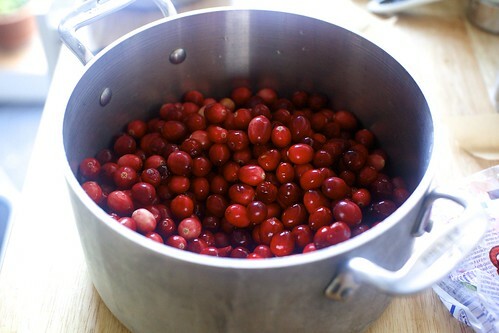 I love cranberries the way I do sour cherries in June, except cranberries are easier to come by (here, at least), keep longer, cost less, have less of a blink-and-you-missed-them season and freeze seemingly indefinitely perfectly. I think it would be chromatically impossible to find a more stunning shade of red than the one they collapse into when cooked. Yet taste-wise, I know they scare people because they’re aggressively tart and sour — they could make your average Eureka lemon seem like a wimp. But this can be the best part. My favorite foods embrace contrasts — savory against typically sweet, salt against decadent desserts, caramelized crunch atop a rich casserole — and cranberries, especially twisted with sweet, rich ingredients like this ice cream I need someone to make for me right now, really get to shine. 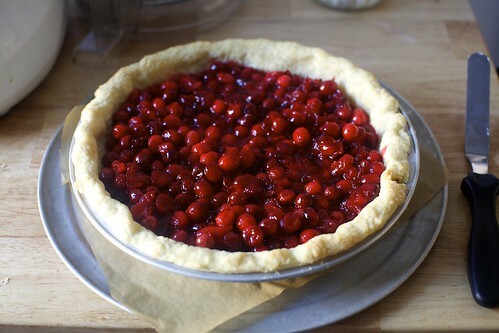 You rarely see straight-up cranberry pies. They’re usually cut with chunks of apples or pears, seemingly afraid of their own intensity but I vowed this year to tackle my own at last. 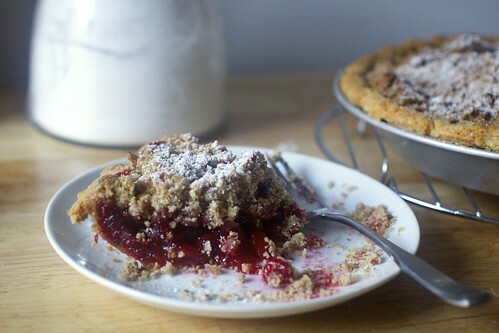 I found that the trick to making a palatable cranberry pie was to, yes, sweeten them more than I would other fruits, but also to provide a great contrast, here a thick cinnamon-scented, oat-and-pecan crumble on top, that’s finished, like all things worth eating, with a shower of powdered sugar, a good dollop of sweetened vanilla whipped cream or vanilla ice cream on top. 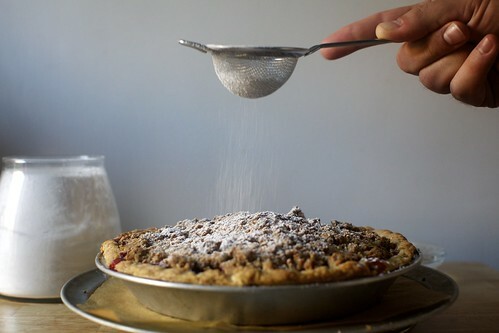 Despite the contrast from the brown sugar, oat, cinnamon and toasted pecan crumble on top, the shower of powdered sugar, the sweetened vanilla whipped cream or ice cream that I know you wouldn’t serve this without, this is still, at its core, a tart pie. It may not be for everyone, but it is definitely for us. 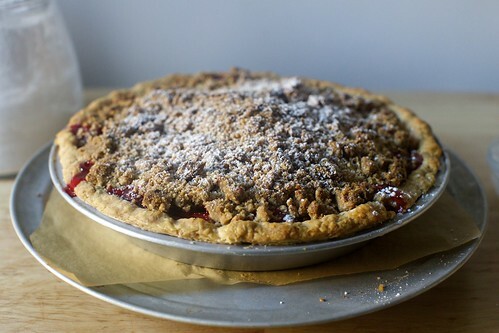 Cranberries are excellent pie berries, it turns out, so high in pectin that you’re at little risk for a sloshy pie or “soggy bottom” (crust!). 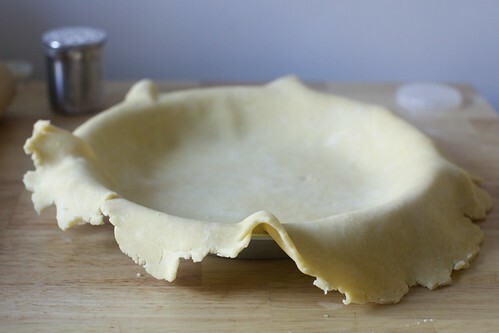 Par-baking the crust is optional, but of course will keep the base the most crisp. 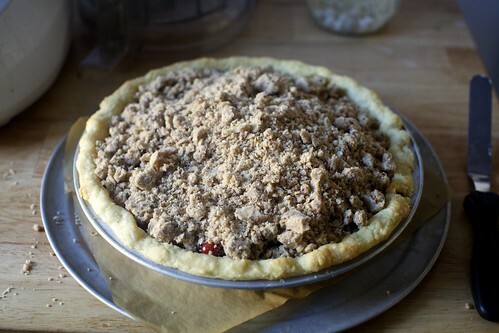 I like to cook this filling for a few minutes on the stove; it will probably be okay without it (just needing 10 to 15 minutes more baking time) but it gives you a chance to get the berries a little loose and lightly crushed, while reducing the overall baking time, which is, delightfully, under an hour. Note: Your topping will look less messy and loose than mine. I was a little distracted while baking this, and added too many oats.